The Sparkles' Safety Spot program helps children learn basic fire safety knowledge and skills with the goals of saving lives, limiting injuries, and reducing fire losses. 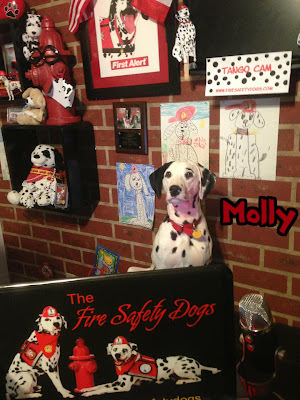 Firefighter Dayna and her team of Fire Safety Dogs share fun, yet educationally sound, ways to stay safe, live on the web. Teachers, students and parents tune in to this weekly 15-minute live streaming program where fire safety tips are disseminated in a fun format for children. 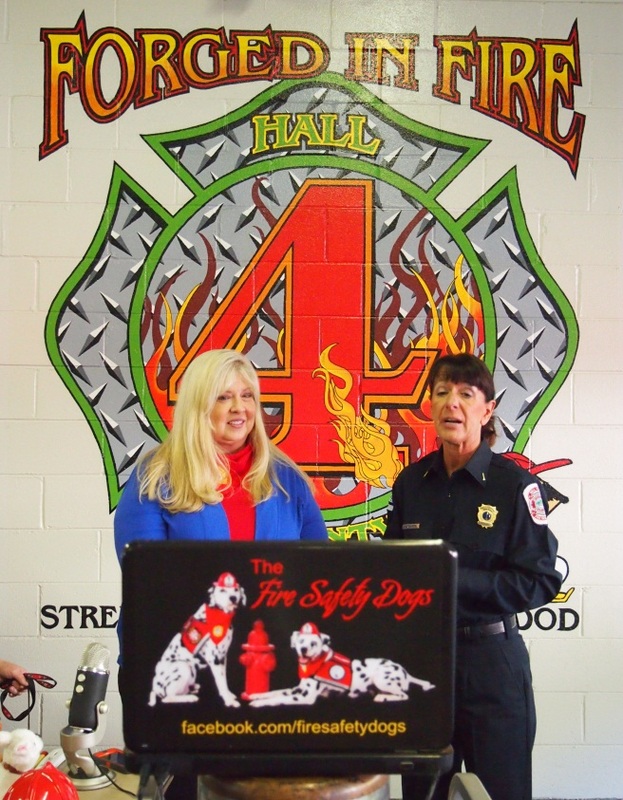 The program includes special appearances by safety friends of the two and four-legged type and provides free, downloadable supplementary safety materials for teachers and parents. 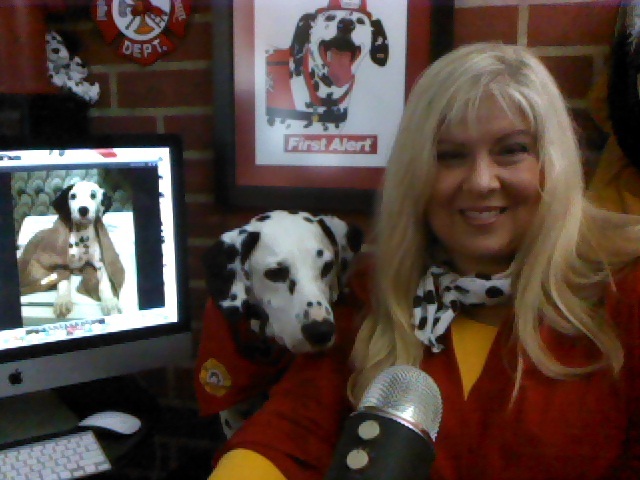 The program is streamed live on the web every Friday morning at 9 A.M. CST from Sparkles' Clubhouse as well as on the road when Firefighter Dayna and/or the Fire Safety Dogs travel. County Fire Services in Gainesville, Georgia. When the fire safety dogs are traveling across the country, the show is streamed live on location. Former locations include the Memphis Fire Department’s main station, Aurora Regional Fire Museum in Aurora, Illinois (just outside of Chicago), the Unified Fire District Authority in Salt Lake City, Utah, Hall County Fire Services (Gainesville, Georgia) and the Vigilant Hose Company in Emmitsburg, Maryland. Children and adults can chat with them live and ask questions about fire safety and the Fire Safety Dogs. Perfect for the boys and girls in your life! Children and their caregivers can join the chat and have fun learning at the same time. 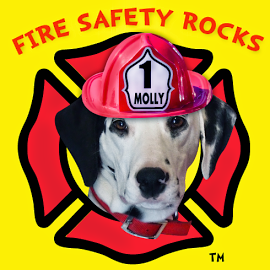 Sparkles' Safety Spot is the only weekly interactive fire safety program on the web and has ranked as one of the most watched shows on Stickam.com since October 2012. 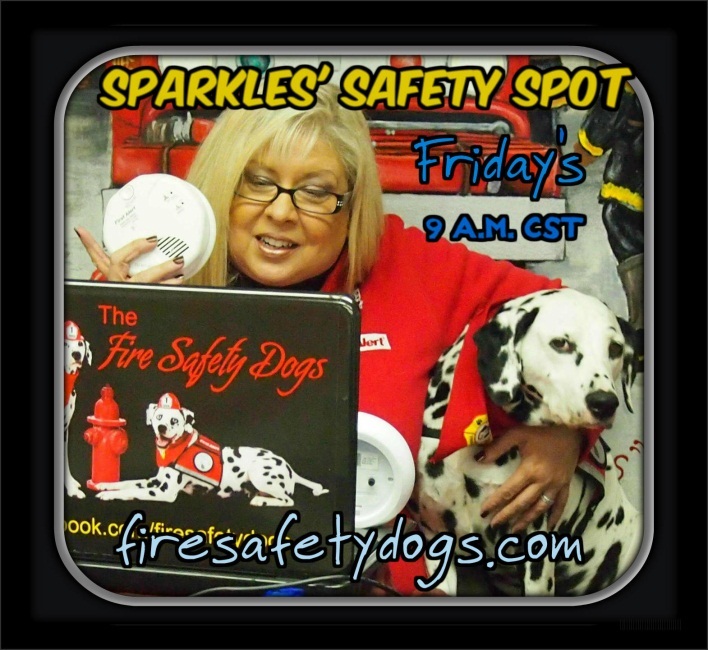 You can watch Sparkles’ Safety Spot HERE every Friday morning at 9:00 A.M. CST. 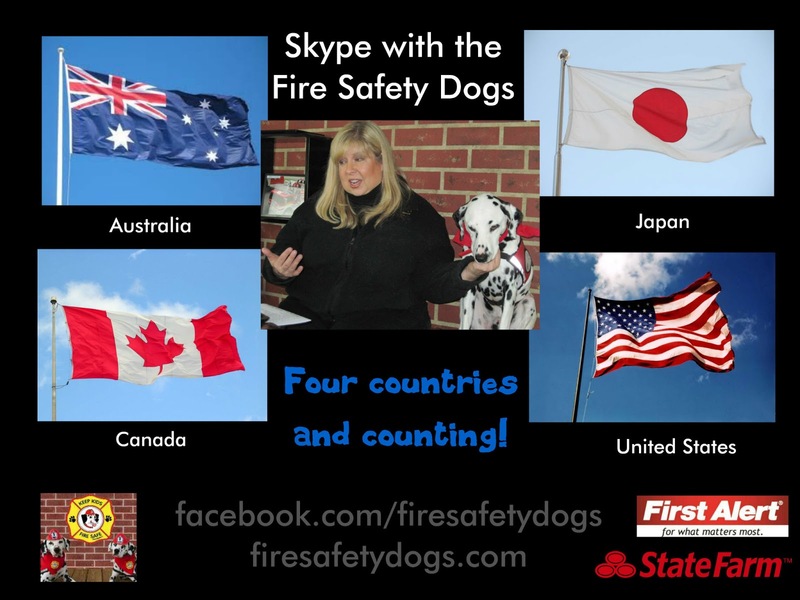 The Fire Safety Dogs and the Keep Kids Fire Safe® Foundation seek participants for an innovative fire safety series, Sparkles’ Fire Safety Skype Tour. This free, interactive Skype activity teaches children important fire safety lessons and is open to schools, organizations and library programs across the country and throughout the world. 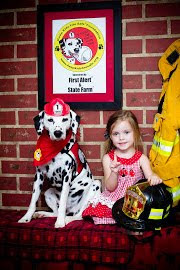 The 30-minute program is designed to teach basic fire safety skills and features the Fire Safety Dogs, sing-a-longs, the reading of a fire safety book and the opportunity for children to become Junior Firefighters. Participating schools and organizations receive a free, downloadable copy of the Sparkles’ Fire Safety Skype Tour Coloring e-Book and bonus materials. Skype in the Classroom (international reach and featured on partner page). More international Skype visits in 2013 scheduled, including the countries of Germany, Russia, Latvia, Spain, and Japan.